← The capture of Saddam Hussein. Cambodia is probably the poorest country that I have visited. It’s much more of a backwater than even Afghanistan. Their only industry is the silk trade. Silk crafts such as scarves, table cloths, clothing, etc. Not much else in the way of industry. Handicrafts such as statuary. Precious and semi-precious gems. Tourism must be one of the, if not the, largest industry for Cambodia. Phnom Penh, Sihanoukville, Siem Reap are the primary destinations of most tourists. Eco-tourism in the more remote areas for the more adventurous souls. It’s a country stricken with extreme poverty. High illiteracy rates. High birth rates. High crime. A great part of the tourist industry is Siem Reap and the Angkor Temple Complex. 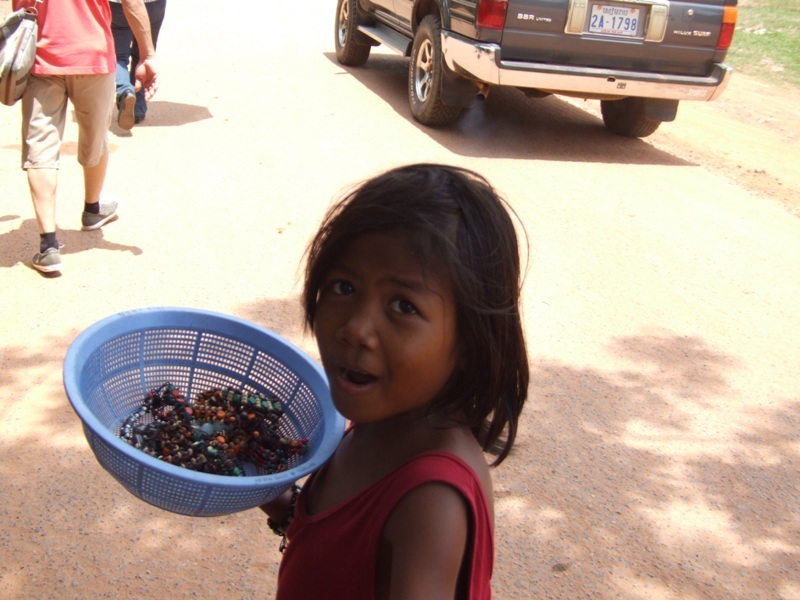 Within this complex and in the three major cities of Cambodia, the children are exploited in order to make money off of the sympathies of tourists. It works. 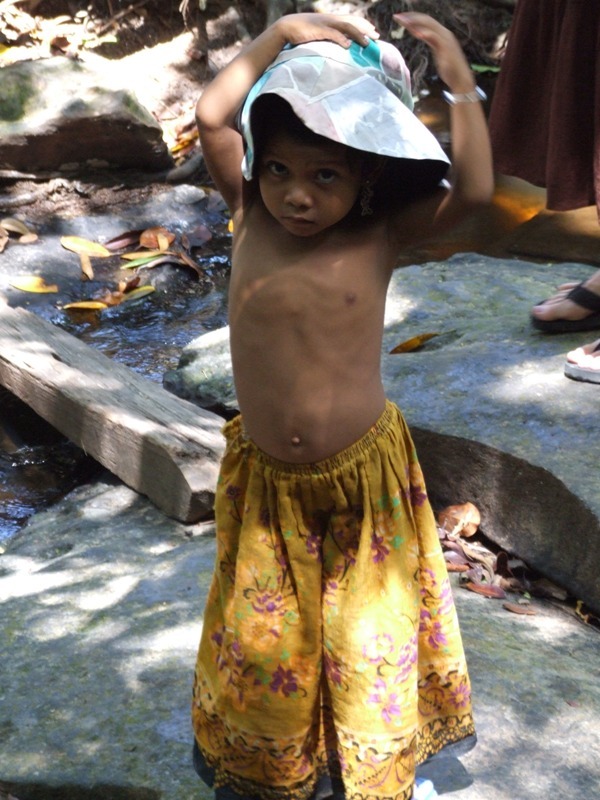 These are children of the Khmer. 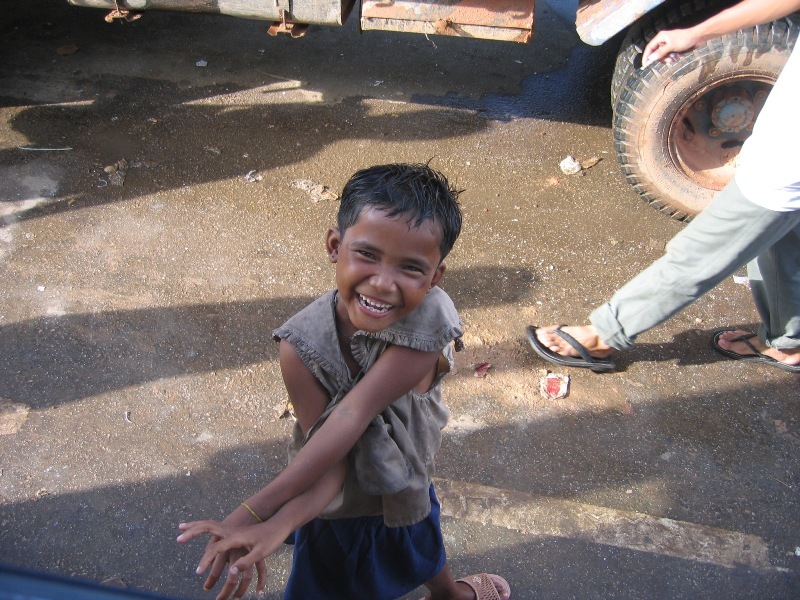 The children of Cambodia. 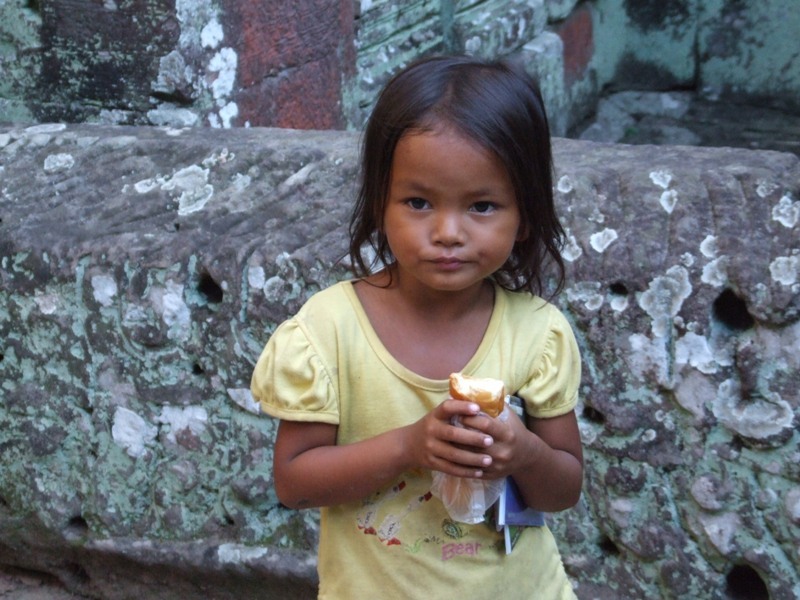 The children of Angkor. Some. They’re simply adorable. You want to pick them up and hug them and make it all better someway. Anyway. Some will annoy the hell out of you. They’ll make you want to scratch your eyes out. Scream at the top of your lungs for them to get away. So many I wanted to adopt. Take home to my Momma or Sister to give them a good home. I have come to believe that every child deserves a good home. Children deserve a chance. These children are severely handicapped. Not physically. Socially. Economically. In many cases, emotionally. They didn’t ask to be born. But birthed they were. Brought into existence in a world of abject poverty and near hopelessness. My heart went out to these children. Many of whom are loving, adorable, huggable. Eminently lovable. You’ll see just what I mean in the above video. Most, if not all, of the children seen here work from 7 or 730 AM to 9 or 10 PM. I’ve seen some of them out with their mothers begging or selling food ’til 1 AM. Not the life for a child. When do they get to just be children? Another strange experience for me were the “beggar costumes.” The faux beggars. It must happen elsewhere. But I don’t think they are as brazen as what I witnessed in Cambodia. Srey Mao and I had finished our day exploring the Angkor temples for the day and headed back to my hotel room. While passing Angkor Wat, we stopped to grab a beer and watch the sun go down over the great temple. 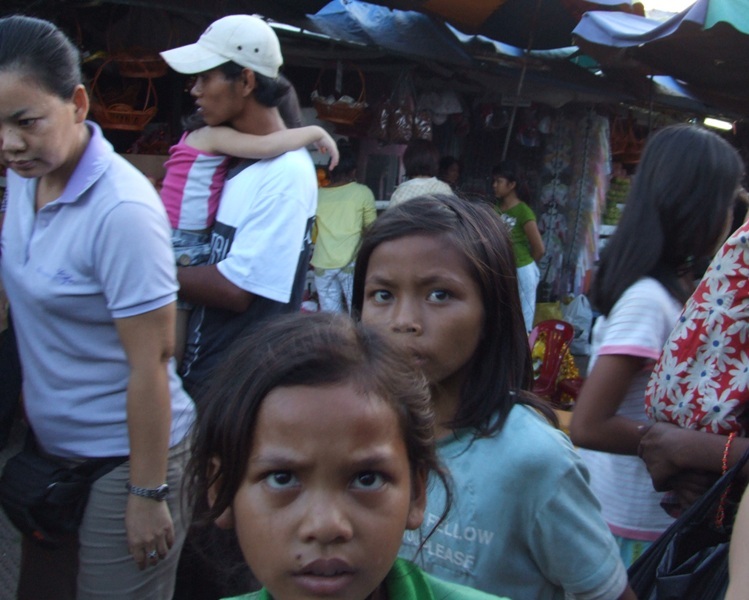 As I did, a mother and 3 children approached us looking completely destitute and pitiful. They were filthy. So I bought some food and gave it to the mother. They went off to eat. The sun went down. I continued upon my path feeling good about having done something nice for someone. I dropped Srey at the Banana Bar on Pub Street where she is manager. Then returned to my hotel. Grabbed a shower. Dressed and found my way back to Pub Street. By this time it was 9 PM. I sat and drank a few beers with Srey. Then walked over to the Temple Club for a few games of pool with the local gals. The Temple Club is one of the best places in Siem Reap to catch a game of pool. It’s also a great place to watch the Apsara Dance. (I will put some videos of this on the blog at a later date.) Each visit to Siem Reap, I find my way to the Temple Club. I love watching those beautiful little Khmer ladies re-enact the dance of the Gods. And I love to play pool with cute little Khmer women. I played pool for an hour or two and proceeded to get fairly well sauced on the old standby Jack and Coke. Back in Kentucky, I’m a Kentucky Bourbon man. Rarely drink anything else. I’ll hit Jack sometimes in Kentucky. But usually only when I am first returning from overseas. It’s a habit. Overseas. No one knows Kentucky Bourbon. There is one bar that I have found from Beijing to Kuala Lumpur that serves Maker’s Mark and I once found a bottle of Elijah Craig at a liquor store. Both establishments are in Saigon–Ho Chi Minh City. I guess the communists like good bourbon. At any rate, I finish playing pool and walk over to the Banana Bar to pick up Srey Mao. She and I return to the Temple Club and sit out on the patio. 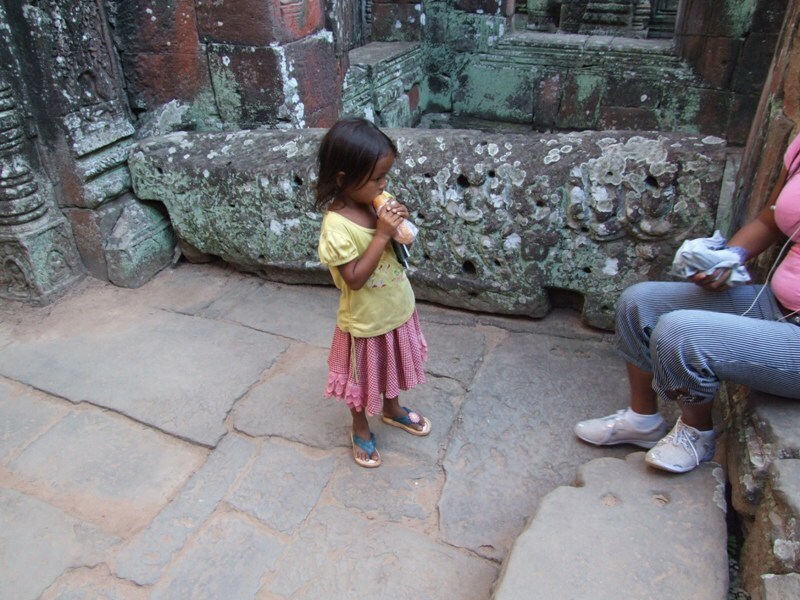 The little girl from our “sunset and beer” viewing of Angkor Wat. She is cleaned up and changed into a different set of clothing. I just start to laugh. Rolling up directly behind her is her little sister. Finally, here comes brother. By this time, I am laughing loud and hard. I can barely breath. I realize immediately what I’m seeing. What I saw earlier. The scam that these kids mother plays out every day. Srey looks at me like I’m insane and asks what is wrong with me. Why am I laughing? I point out the kids. She sees it and starts to laugh as well. So I tell Srey to call them over. I ask them to join us and I’ll buy them supper. Srey and I start to poke and prod our way around the subject of their little subterfuge. Whose idea is this scam? Why are they doing it? How long? So we slowly pull the story out of them. 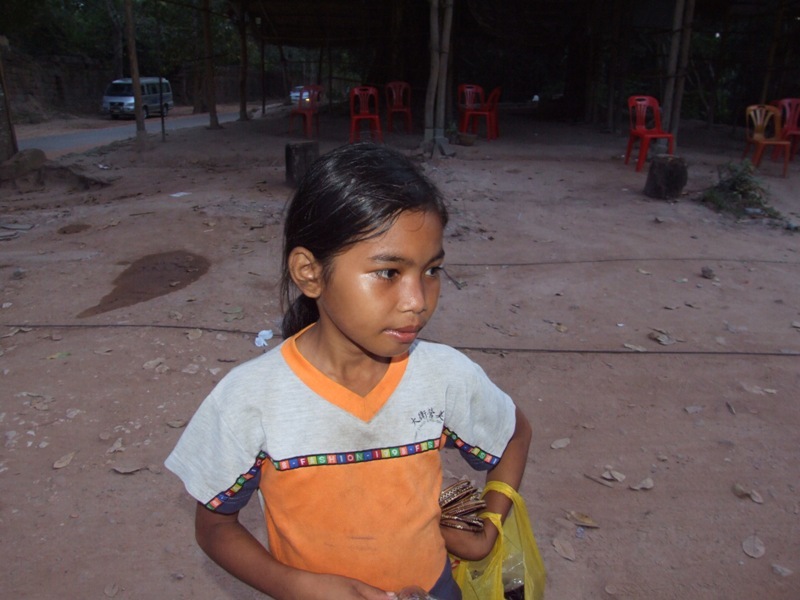 They tell us that their father abandoned them and moved on to Phnom Penh and disappeared. Mom has them dress down in rags to look destitute so they can beg for money. Apparently, Mother can barely write. In typical Khmer fashion she is uneducated. No job. No prospects. It’s either beg or starve. So they ditch their good set of clothes in an alley. Put on rags. Beg for money for food and clothing. Trying to save up money for a simple room to live in. Honestly, I can’t begrudge that. It may have been an over-dramatization. Even so, these kids were so happy to be eating that I can’t see how it could have been an act. Afterward, I felt so sad for these children that I purchased food for about half the kids on the street. They all shared. No one fought. One little girl came up and held my hand for the longest time. I wish that I had my camera to take a photo. She was adorable. 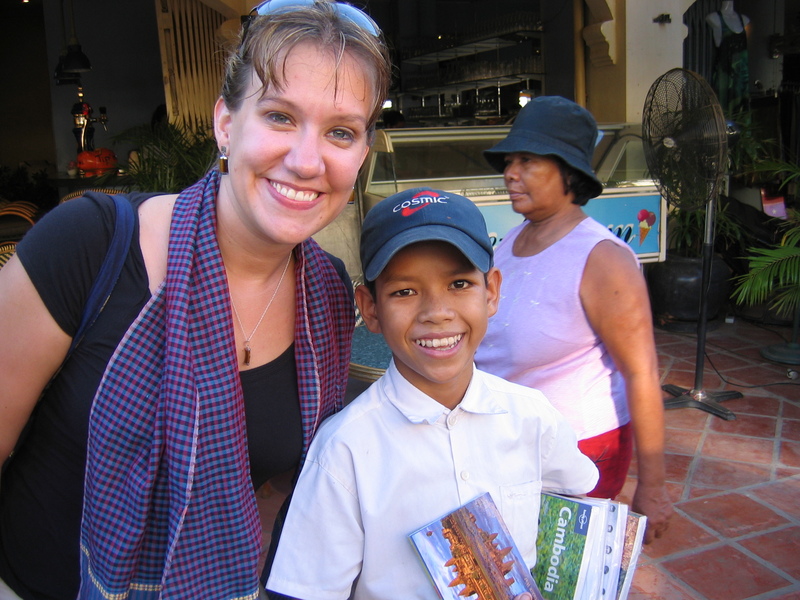 I left that night like most nights in Cambodia with a new appreciation of the life with which I have been graced. Fortune by birth. This old Kentucky boy has traveled to many a place about which many can only dream. I’ve had experience after experience that has enriched my life. Made possible by the simple accident of fate by which I came to be born American. I know that some of my fellow Americans enjoy poking fun at those who say that America is the greatest nation on earth. But the simple truth is that everyone born in America is blessed. We have the means to lift ourselves up from our modest roots. Our destitution if that is our lot in the beginning. We have the tools to overcome our challenges. Much of the world does not. To have been born in America is truly a blessing. The flute player was amazing and seemed way too young to be able to do that (and to be selling). I’d suspect she’s a musician waiting to happen. It’s unfortunate to be without the luxury of preparing for the future. I would call them the forgotten, but point taken in calling them the handicapped. it was definitely heartbreaking to see so many children on the streets with desparate faces. interesting story about the family of beggars. in hindsight i think about how i could’ve supported the local economy more. so little of our money makes such a big impact there.